On occasion while riding my bike in Detroit, I roll past cement stairs that lead to nowhere. They are thick well-built, one piece molded steps made of poured cement. The few I’ve seen usually have only three to four steps at most. 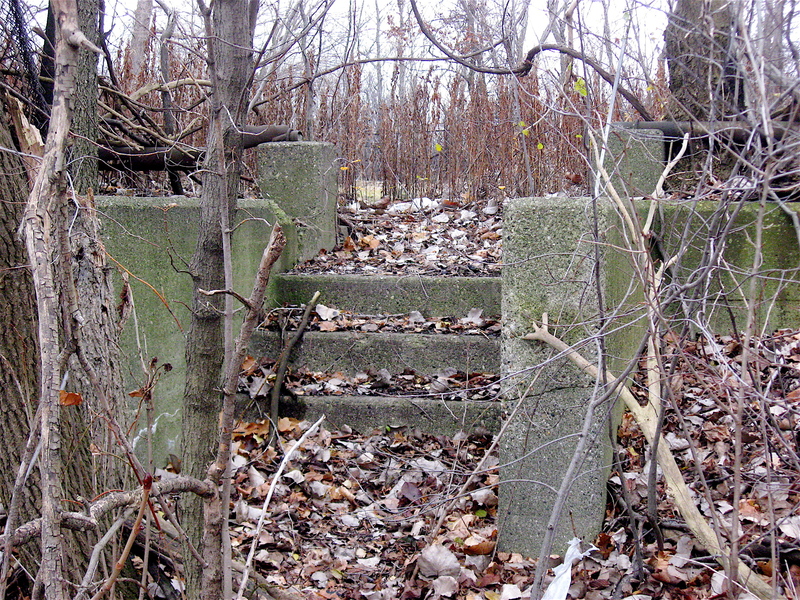 The mysterious cement stairs seem to be concentrated in small areas close to railroad tracks. They may at one time have led to a small manufacturing facility, or were used to access the trains for whatever reason. The heavy-duty stairs are accessible from sidewalks in isolated areas of the city that are now in disrepair and lightly used by pedestrians. The shadowy steps lead to nothing more than an empty field or a compact piece of land that has reverted to a wooded grove. The gray colored stairways can be rather hard to see at times. They are usually surrounded or covered by overgrown invasive weeds, vines, and other plants. That’s especially true in the summer months when the wild plants are full of green leaves. In exploring these small lots where the steps are located, I’ve yet to see any evidence of a building or any other structure. Sadly, most of the areas where the steps are located have been used as dumping grounds for old tires and other trash. Although I don’t see these stairs much on my ride, but when I do they have always intrigued me. It would make sense if they were used as an entrance to an apartment building, bus stop, etc., but the ones I have seen go to nothing. Located in out-of-the-way places, close to railroad tracks, it makes me wonder what their purpose was. 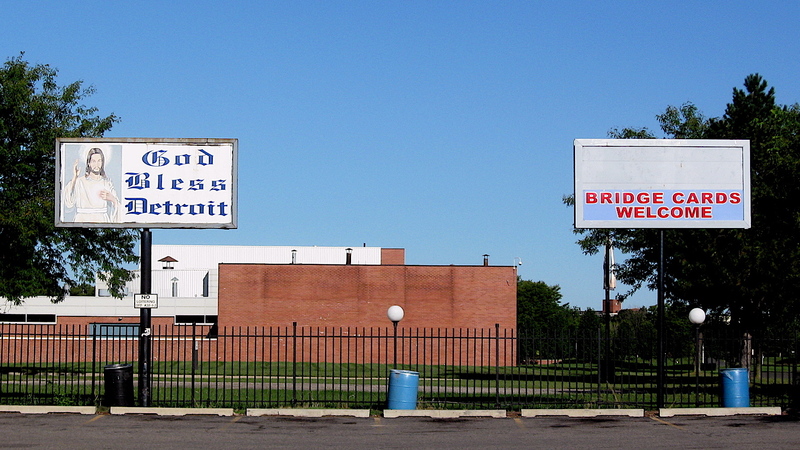 Detroit is full of mysteries, and this is one of them. Does anyone have any ideas on the purpose of these mystery stairs? The Detroit Tigers opening home game was this past Friday. Weather-wise it was a perfect day to explore the stadium area via bicycle to check out the festivities. 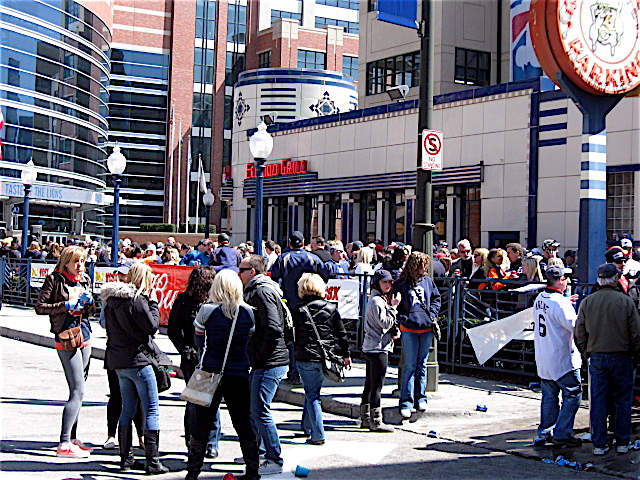 Needless to say, the streets were crammed full of people making their way to the early afternoon game. Although the ball park holds about 45,000, there was probably double that amount of Tiger fans taking advantage of the sunny, chilly weather. 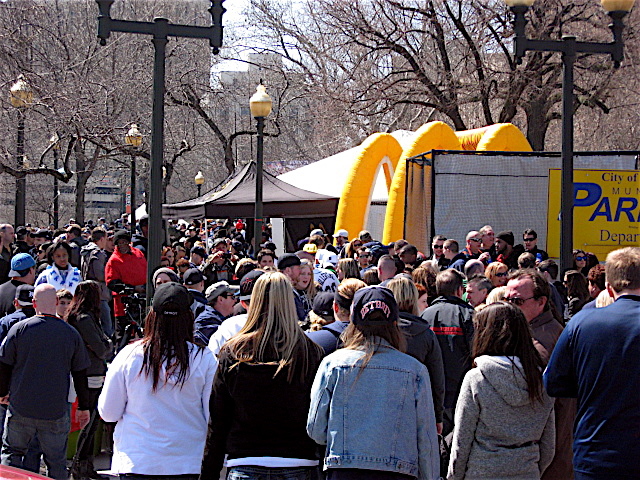 Many were frequenting the downtown pubs, restaurants and pop-up parties (some with live music on stages) being held in the adjacent city parks and lots. No breaking news here, but Tiger fans of all ages were dressed in their Tigers garb. The old English D seemed to be everywhere. It could be seen on t-shirts, hats, purses, and jerseys. Some of the die-hard fans even had it painted on their faces. The Tiger paraphernalia wasn’t limited to clothing and face paintings. I saw Tiger flags mounted on motorcycles flapping in the breeze as they rumbled by. 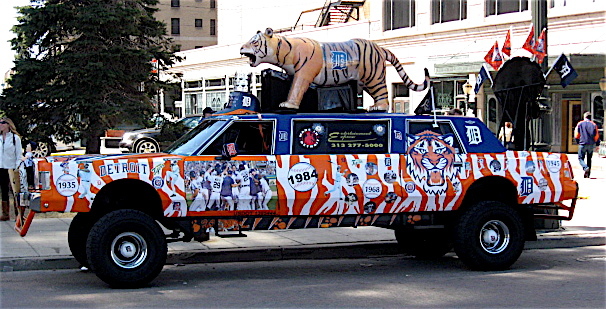 I also spotted a customized vehicle wildly painted with Tiger stripes. 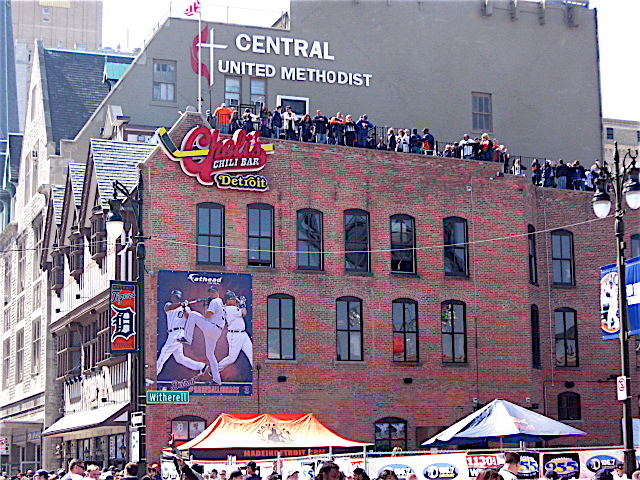 It included everything that is Tiger baseball, including a life-size model tiger mounted to the roof! Pedaling around the area I noticed that the opening day parties and festivities were not confined to the streets. Most of the rooftops on the tall buildings surrounding the stadium were full of people too. Like the fans on the streets, those up there were dressed in a sea of tiger colors. 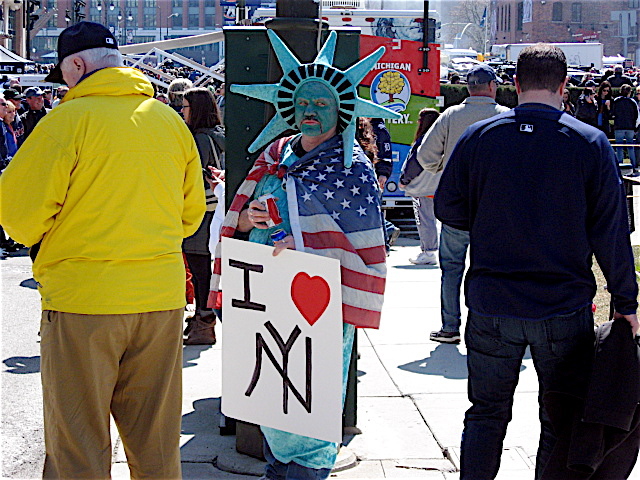 Although I’ve never been to an actual opening day game, I have been to the stadium area in the past to check out the festive activities. I think the last time was when the Tigers played at the old historic Tiger Stadium on Michigan Avenue and Trumbull, which is now gone. Those were the days when street vendors were able to sell hats, t-shirts and many other souvenirs from push carts; something that was conspicuously absent on the streets near the downtown stadium a few days ago. I guess it all has to do with major league baseball licensing agreements with team owners and all of that other legal, copyright stuff. 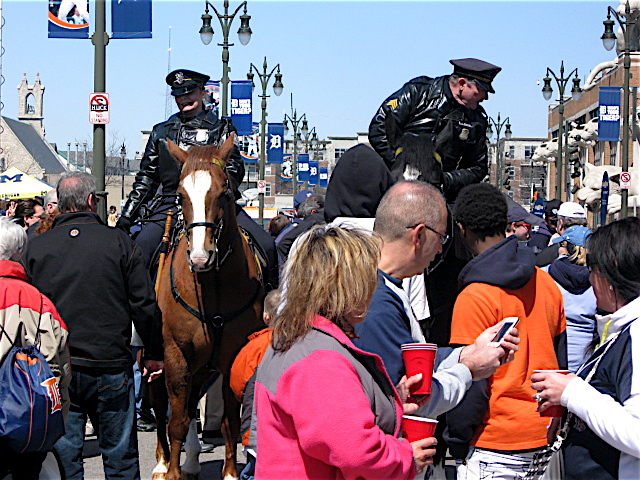 Regardless, it was fun weaving my way through the crowded streets on my bicycle to check-out opening day baseball happenings in Detroit. It’s been a long cold winter, but over the past weekend the warmer weather of spring finally made its way into the Detroit area. I took advantage of the sunny days by hitting the streets on my bicycle. On one of my bicycle adventures, I worked my way out to Belle Isle Park by passing through the rough and tumble neighborhoods on Detroit’s eastside. It’s a section of the city where I’m always amazed by the vast open fields where thousands of single-family homes once stood. 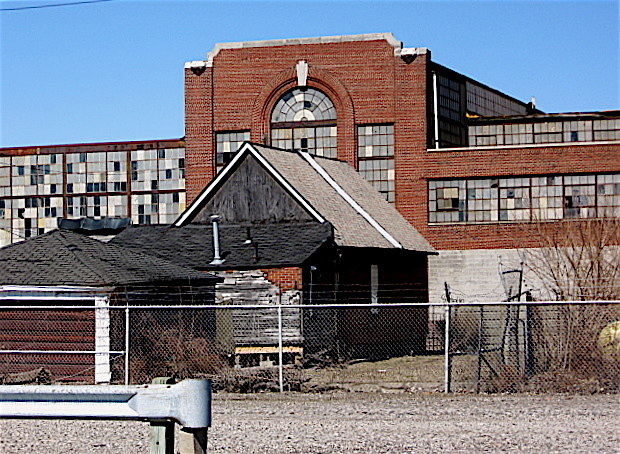 Depending on the particular street, there are remnants of small manufacturing facilities, some still in operation and others abandoned and standing open to the elements. What I find interesting is how many of the old industrial buildings were constructed around the vintage 1900-era frame houses. It’s almost like a horseshoe layout, with the homes setting in the middle and the old factories surrounding them. In some cases you see chained-link fencing with barbed wire running the along the top. This lines the property between the businesses and the few remaining homes that are still left standing. I can only imagine what Detroit must have been like in its prime! 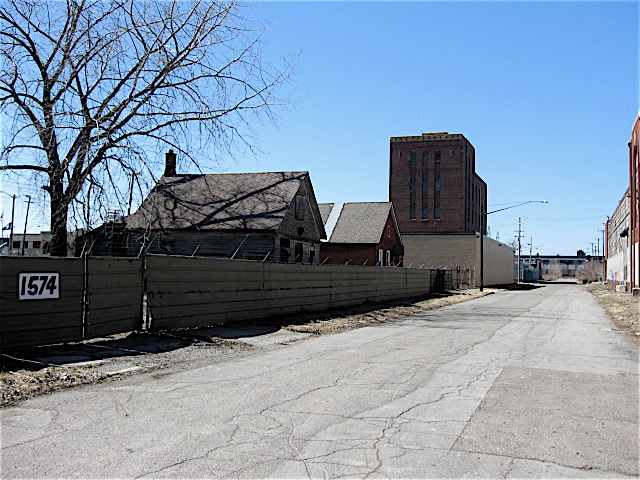 The factories were filled with workers that lived in those small frame homes in neighborhoods all across the city. Lyman Place is one of the rare eastside streets I’ve ridden on that still have a few of these homes surrounded by factories. One in particular appeared to be lived in. 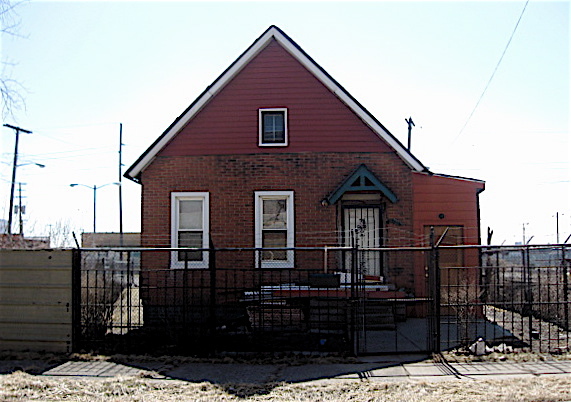 Not only was the small shotgun style wood frame house surrounded by small industrial buildings and secured parking lots, but the people living there had their house secured with their own fencing and security doors. As I rode by, I didn’t see any signs of life but felt like I was being watched from within, as is the case in many of the neighborhoods I ride through. I circled the block to get a rear view of the old house. Someone must have been watching, because soon after I stopped to take a picture from the adjoining parking lot behind, a huge German Sheppard came running from the front of house barking like crazy. Somebody in the place must have seen me and let the dog out into the fenced yard, as a message that someone was home and watching.